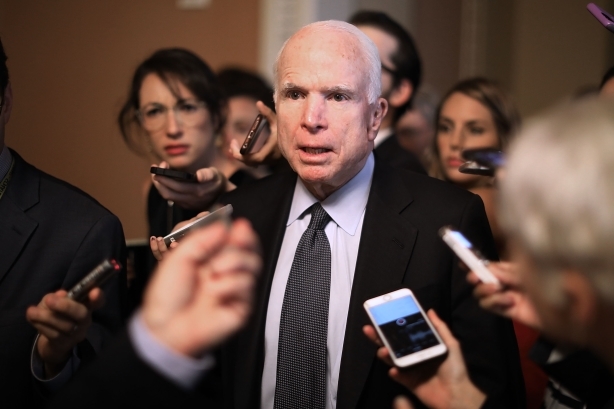 APCO's Anthony DeAngelo on McCain's defense of the press, openness, and "straight talk." There has been a lot said over the last few days about John McCain’s legacy. There has been plenty written about John McCain, the U.S. Navy captain, who survived being shot down and imprisoned in Vietnam. There have been countless speeches about John McCain, the U.S. senator and presidential candidate, who served Arizona for decades on Capitol Hill. Yet, lost in a sea of accolades, is John McCain the communicator; fervent defender of the press, practitioner of crisis communications, and the undisputed king of straight talk. The lessons of McCain’s life are not just found in his service, but in how he communicated with the country he loved so much. At a time in which "media" has become a four-letter word in our nation’s capital, McCain was one of its most prominent defenders. He spoke out against crackdowns on journalists and free speech around the globe and at home. In an op-ed published in the Washington Post earlier this year, McCain concluded that "only truth and transparency can guarantee freedom." It was an ideal that he fought to protect, even when he wasn’t getting positive headlines; he understood that the freedom a vibrant and occasionally combative press corps ensured was more important than his own personal ego. McCain’s political career also serves as a classic case study in crisis communications and the importance of rebranding when things go wrong. Swept up in Keating Five savings-and-loan scandal, McCain, only in his first term in the U.S. Senate, weathered a political storm that cut the careers of others short. Like any good crisis communicator, he knew how to acknowledge the issue and find solutions in action. Seeing and seizing an opportunity to rehabilitate and rebuild his public image, McCain spent key years in the Senate leading a bipartisan effort to address corruption and tackle campaign finance reform. Quite possibly, most of all, McCain will be known for his openness, candor, and the same "straight talk" that defined his presidential campaigns. Always available for a quote or a quip, he got to know the reporters who covered him and knew how to keep them in suspense and drive his own narrative. His statements were often blunt, direct, and impactful. His demeanor was often forceful, as you would expect from a former naval officer, but respectful and composed. He was also willing to admit his faults and when he was wrong, and showed a self-reflection that led him to keep pushing forward - occasionally against all odds. The lessons of McCain’s legacy are not just for the next generation of public servants and politicians. They should be exercised in every C-suite office and agency cubicle, they should be remembered by everyone with a public voice and a public image, and they should serve as a constant reminder that no matter what we do, the way we communicate will help define our legacy. Anthony DeAngelo is a director at APCO Worldwide.